Permanent split capacitor 42 frame motors use sleeve bearings for operation. Automatic overload protection for safety and long life. Open enclosure. Single phase motors with double shaft rotation. These Sleeve Bearing Motors Are Great For Replacing GE 21/29 Motors. Features automatic overload protection to help prevent overheating for safety and long life. 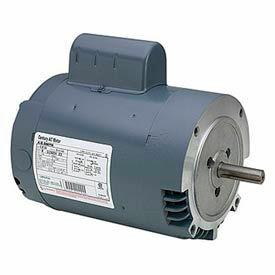 Single phase, sleeve bearing motors provide up to 1550 RPM. Open enclosure. Fits GE bases. 60 Hz. Century are 42 NEMA frame motors. Mechanically reversible. Includes 4 tapped 10-32 holes for shaft end mounting and drain holes. Stud mounted for installation. 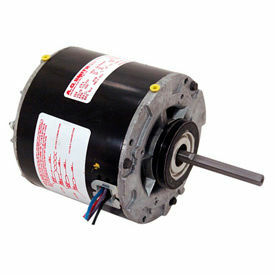 Capacitor start motors offer single speed operation with reversible rotation. Resilient base mounting for installation. Automatic overload protection helps prevent overheating. Single phase motor with open enclosure. 60 Hz. 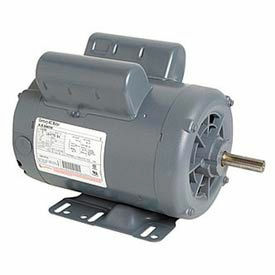 Available with Sleeve bearing or Ball bearing motor types. 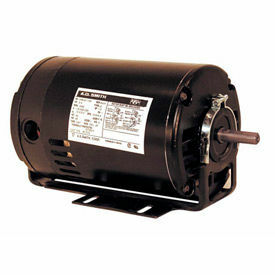 Marathon Motors Fan Blower Motors, TEAO and TENV Are Used For Residential, Commercial Or Industrial Applications. Marathon Motors Fan Blower Motors, TEAO and TENV are solidly manufactured for long lasting durability and dependability. Continuous duty motors have sturdy Totally Enclosed Air Over (TEAO) and Totally Enclosed Not Vented (TENV) enclosures and ball bearing construction to accommodate varying belt loads and tension. Dynamically balanced rotors for reduced vibration and quiet operation. 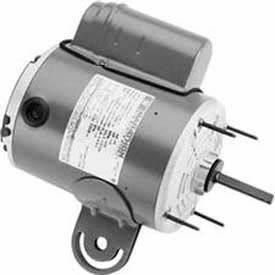 Wide selection of 115/230V, 115/200-230V, 208-230V and 115V units are available in 1/20, 1/4, 1/3 and 1/2 horsepower, 900 to 1625 RPM and various mountings. Ventilator Motors Are Used For A Variety of Ventilation System Applications. Ventilator Motors are solidly manufactured for long lasting durability and dependability. Century® and Marathon®: brand continuous duty motors have Drip-Proof enclosures and sturdy ball bearing construction to accommodate varying belt loads and tension. Wide selection of 115V units are available in single or variable 1/15 to 1/2 horsepower, 850 to 1725 constant or variable RPMs and various Footless or Rigid base mountings. Capacitor Start General Purpose Motors Are Used For Compressors, Pumps, Conveyors And More. Capacitor Start General Purpose Motors feature a high start torque for effective operation. Open drip-proof build makes this motor used for continuous duty applications. Rigid base provides stability and motor direction is reversible. Motors operate at 1725 RPM. 40° ambient temperature. 60Hz. Choose from 1 HP, 1-1/2 HP, 2 HP or 3 HP. 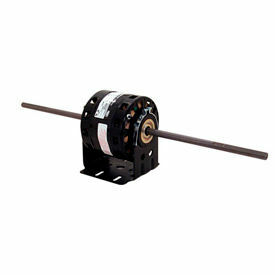 Capacitor Start C-Frame Motors Are Used For Belt-Driven And Geared Applications. Motors are made with a C-frame mounting build. Completely enclosed and fan-cooled. Reversible rotation. Single speed. 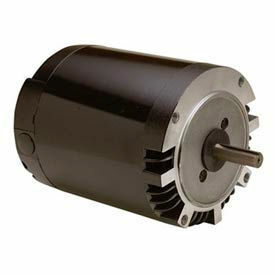 Choose from 1/4 to 1HP motors.